The Apollo program was the American program intended for the lunar landing. The first six missions were uninhabited flights, intended to prepare the following flights. Here the list of the next missions. January 27, 1967, whereas the three astronauts of the mission (Virgil Grissom, Edward White and Roger Chaffee) test the capsule in Cape Canaveral, a fire is declared (the capsule is filled with pure oxygen, which makes it easily flammable). The accident results in the death of the three astronauts. The program is delayed one year. Apollo 7 takes off on October 11, 1968 with on board Walter Schirra, Walter Cunningham and Don Eisele. The mission remains in terrestrial and hard orbit 268 hours. The goal of this mission is a location for the following missions. Gone on December 21, 1968, the astronauts (Franck Borman, James Lovell and William Anders) carry out 10 rotations around the Moon. This mission is intended to test the LEM (lunar module) and remains in terrestrial orbit. It takes place from the 3 to March 14, 1969 with on board James McDivitt, David Scott and Russel Schweickart. It is the last preparatory flight. Between the 18 and the 26 May 1969, Thomas Stafford and Eugen Cernan place themselves in lunar orbit on board LEM, while John Young controls the module of order. The LEM approaches with less than 16 km (10 miles) the lunar ground. It was the ultimate repetition, very well occurred : the Apollo program is ready for a real lunar landing. The famous mission is launched on July 16, 1969. On 20, the mission arrives in lunar orbit. Michael Collins remains in the principal vessel while Neil Armstrong (photo) and Edwin Aldrin go down towards the Moon (more precisely towards the sea of Peace) on board the lunar module Eagle. At 9 p.m. 56 (Houston time is 3. 56 on July 21 for Paris), Armstrong poses the foot on the lunar ground and pronounces the famous words « It is a small step for the Man, but a step of giant for humanity ». Aldrin will join him later fifteen minutes, the two astronauts pass more than two hours to go on the lunar ground, at a distance of 60 m. They collect 20,7 kg of samples, take photographs and install various experiments. Their steps are retransmitted on line in the whole world. Once turned over inside the lunar module, the two astronauts rest during a few hours before taking off on board the stage of increase of the LEM, by using the lower half (remained on the Moon) like launching pad. The flight of return of Apollo 11 proceeds without incident: the capsule lands on sea on July 24 in the Pacific Ocean, close to Hawaii. In order to avoid any risk of contamination of the terrestrial environment, the three astronauts are placed in three weeks quarantine. Taking off on November 14, 1969, it transports Charles Conrad, Richard Gordon and Alan Bean. Conrad and Bean have posed themselves in north mountains of Riphaeus (in the zone called ocean of the Storms). They explore the surroundings twice, passing there each time nearly four hours. They install new scientific experiments, still take photographs, and collect 34,1 kg of samples of the lunar ground. Apollo 12 made many improvements compared to Apollo 11, in particular in the precision of the lunar landing. The results were so positive that one projected to make land Apollo 13 in a more broken zone. April 11, 1970 at 13. 13 (Houston time), sadly celebrates mission Apollo 13 leaves the launching pad with on board James Lovell, Fred Haise and John Swigert. 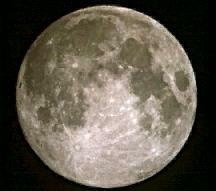 On 13 at 9 p.m. 07, liquid the oxygen tank n°2, located in the module of service of Odyssey, explode violently, putting an end to any hope of lunar landing. The return on Earth is animated, the three men and the controllers on the ground having to compete of ingeniousness to overcome the multiple difficulties of the situation : the crew takes refuge on board the lunar module Aquarius, whose reserves of oxygen and electric power are very limited, and must use his engine to carry out delicate operations of correction of trajectory to find the dirt track. They turn over in the module of order, then release the LEM 84 minutes before their sea landing in the Southern Pacific, April 17 at 12 noon 07. A board of inquiry reconstitutes the mechanism at the origin of the accident : the vessel had taken off with a tank filled with pure oxygen, crossed by a network of stripped electric cables. The Teflon insulating sleeve of these cables having accidentally melted during an operation of draining about fifteen days before the departure, the temperature was assembled, without no instrument detecting the anomaly. A simple spark caused the catastrophe. 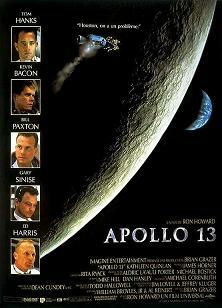 Substitute Apollo 13, Apollo 14 is launched on January 31, 1971 with Alan Shepard, Edgar Mitchell and Stuart Roosa. Shepard and Mitchell are posed in the broken area of Fra Mauro, and pass more than nine hours to explore a zone which one thought that it contained rocks appearing among oldest then listed on the Moon. They bring back 42,9 kg of rock samples and install an automated scientific test center. The three astronauts return on Earth without incident on February 9. Apollo 15 is launched on July 26, 1971 with David Scott, James Irwin and Alfred Worden. Scott and Irwin pass two days and 18 hours on the lunar ground, at the edge of the sea of the Rains. During their 18. 36 of exploration, they traverse more than 28 (17,5 miles) km, thanks to the first lunar jeep. They collect approximately 76 kg of rocks among which an old sample of 4,6 billion years is. They leave a camera on the Moon to film their departure and put into orbit around the Moon a orbitor of 35,6 kg in order to study data on the gravitational, magnetic field and of high energy of the Moon. At the time of the return voyage, Worden makes a 16 minutes excursion in space to 315 000 km (197000 miles) of the Earth (record distance). The mission lands on sea on August 7 to 530 km (330 miles) in the north of Hawaii. The crew is the first with being exempted of forty. The objective of the mission was the exploration of the area of the Descartes crater. It is launched on April 16, 1972 with John Young, Charles Duke and Ken Mattingly. Young and Duke pass 20. 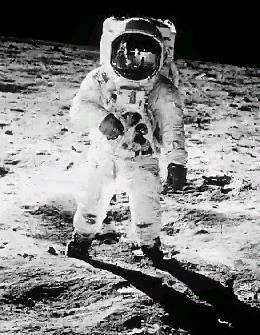 14 on the Moon, traversing 26, 7 km (17 miles) with a lunar jeep and collect 95,4 kg of rock samples. The last flight of the program takes place from the 7 to December 19, 1972 with Eugen Cernan, Ronald Evans and Harrison Scmitt (geologist). Last men to be walked on the Moon, Cerman and Schmitt pass there 22. 05 traversing thanks to the jeep 36 km (23 miles) in the area of the Taurus mounts, close to the crater of Littrow.